If you are looking for a gutter installation company that you can rely on for your home in Bernalillo, New Mexico, or a surrounding area, the company to turn to is ABC Seamless of Albuquerque. In business since 1989, we have proudly been offering seamless stull gutters that are designed to keep costly problems from occurring such as roof rot, landscape erosion, and more. Additionally, when you replace your gutters at your home, consider upgrading them with some of our impressive gutter guards. 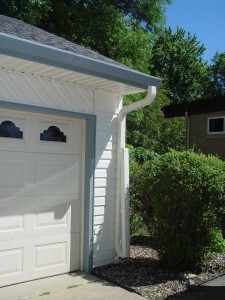 Our gutter covers will effectively block out twigs, leaves, and other debris that would eventually lead to blockages or other buildup that could cause water to stop flowing properly throughout your gutter system. For more information about what makes us the best gutter installation company in Bernalillo, NM, and all surrounding areas, contact ABC Seamless of Albuquerque today. Feel free to stop by our showroom to see all of our products in person.